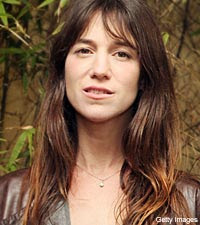 Charlotte Gainsbourg doesn’t balk at stretching herself or her time. She recorded her latest album, ‘IRM,’ her first working with Beck as producer, in Los Angeles while simultaneously filming the Lars Von Trier picture ‘Antichrist’ in Germany. Gainsbourg and Beck explored that experience, among other things, including her hospital treatment after a near-fatal Jet Ski accident in 2007 (‘IRM’ is the French acronym for an MRI machine), and processed them into hard-knock pop noirs veiled in her breathy sing-speak voice. As a singer, what was the most valuable lesson your father taught you? Oh, God! Well, he always told me never to take a singing lesson, because I, and other actresses, we didn’t have real voices. Real singing voices. There was no point in making it perfect. What was good about it [to him] are all the imperfections. But I didn’t listen to him [laughs]. I went and got some singing lessons just because I was so panicked in the past. I needed to learn to breathe, anything that would calm me down. It wasn’t me trying to learn to sing well, it was more just coping with the nervousness. Perhaps you needed the confidence of having the basics as a foundation. Yeah, I think so. What he learnt me, and again with Beck I experienced it … With my father, we only did two or three takes. He loved the imperfections and the things that weren’t planned. Having a voice that would break and be fragile. Beck, in the beginning, when I did the first takes and I wasn’t really happy with them, he said, « But that’s the spirit, the spirit is there. You can try and sing it better when you come back, but you’ll have lost the first feeling. » There’s something that happens in those first takes. He was right. That was exactly what my father had told me. What about as a woman, what was the most valuable lesson your mother taught you? [Giggles] God, a lot of lessons. Just all her qualities, but it’s doesn’t mean I copied her. In French [we have a saying] that in English means « I’m not at her ankle. » But she has a generosity that I’ve rarely seen in other people. Her qualities … it doesn’t mean that she taught it to me. But seeing that so close, you want to try and get close to it yourself. Not only generosity but also being quite simple with everything she does. There’s no pretension, never. That’s also a default? A fault? To not consider yourself enough of an artist. It made me very embarrassed to tell myself I was an actress and that I could be a singer. It makes you very modest. But it’s a burden, it’s difficult. Especially in businesses — both music and movies — that are driven by self-promotion. Are you comfortable juggling and switching between music and film? I quite like it. It’s what I’ve been doing when we recorded the album. Because I used to go to Los Angeles to see Beck, work with him for two weeks, then go off and do the film for two months and not really concentrate on the album, and then go back to that. I like the juggling. I like the idea that you’re not really the same once you’ve had a new experience. It makes you different. Of course, you’re never bored; it’s really different people you get to meet. It’s wonderful, it’s great to do both and not abandon one for the other. Is there any bleed-through when you’ve done, say, a recording session and then you go onto a movie set? Does the music experience affect the thought process on a movie, for instance? I think it’s more so the other way round, just because that’s what happened on this album. On a previous album, it’s true that I remember doing the Todd Haynes film [‘I’m Not There’] and listening to Bob Dylan, because of course it was about Bob Dylan. So, I never stopped listening to Dylan. I lived with that inside the film. But with the ‘IRM’ album, it was the opposite. I did the Lars Von Trier film, and coming out of the experience it was quite hard to step back. I had to talk to Beck a lot, not really about the script but what I had gone through. What it was going to be like and all my questions that I had to share. So, it did bleed a little bit. Did having the distraction of the album help with any emotional overload from working on ‘Antichrist’? I don’t really know. I think I was really tired coming out of that film, as well as being really thrilled, without knowing what I had gone through. It was like coming out of a dream; it was very unreal, because it was so extreme. Coming back from Germany, I didn’t know anything. It was like it never happened, so it was a bit strange. Then when I went to Los Angeles, I had all these memories and I didn’t know what to do with them. I hadn’t seen any images; it was trying to remember and at the same time trying to move on. I remember feeling again very isolated in Los Angeles, after feeling isolated in Germany. Again, it was a weird feeling, just being a bit lonely. I missed my family [she has two children with her partner, French film director Yvan Attal] so much after that shoot. Yeah, going to Los Angeles under those conditions, it was wonderful for the work but very, very solitary. Of course, the album helped to get into another story, but I didn’t try to hide the fact that I was a bit down at one point. It was hard for me to … recover is a big word, because it would mean maybe there wasn’t enough pleasure involved in the shoot, which is really not the case. I think I was just tired, that’s all. Sounds reasonable: the movie, the traveling — it must be exhausting. But it was great to be able to get into another adventure and be able to talk about what I had gone though, not taking it into the songs, but taking my own moods [to them]. The lightness of your voice, sonically, and the heavy theme of the record is a nice contrast. I like also the opposition. I like the eclecticism. I like the fact that in some songs, there would be an MRI sound, which is very clinical, and then there’s the percussionist, which is very human and warm. All those oppositions I found very interesting. And, of course, the dark songs in opposition with lighter songs, I like that feeling that you travel inside the moods. It was also an experience to try things out. For me, it was very new to be able to sing on some kind of a blues song and then to go more towards something pop, and to try something softer. Beck was so wonderful at helping me experience all these different styles. 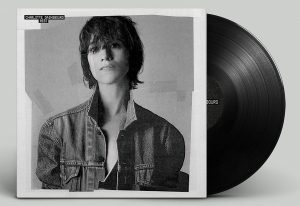 Very interesting interview… loved IRM, never knew anything about Ms. Gainsbourg prior to the album. It was great to learn some background information. I write a blog myself, and wrote an album review for IRM which can be found here: http://wakethedrums.blogspot.com/2010/04/fun-size-album-reviews.html . I hope to get a chance to see you this summer!